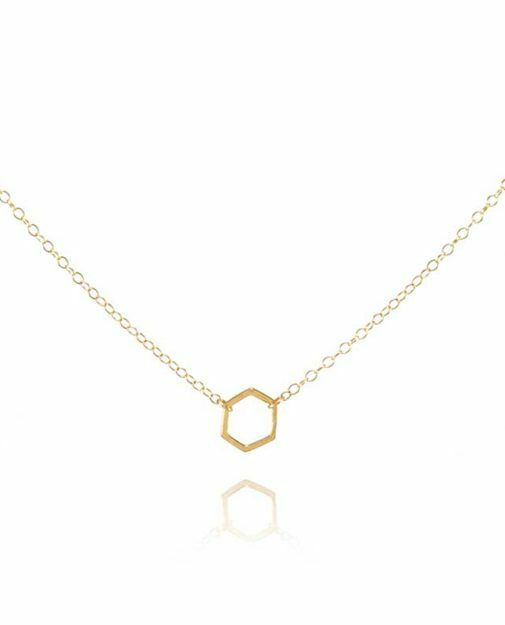 Tiny hexagon necklace, vermeil and gold filled by The Pi Collection. Tiny hexagon strung on a dainty chain makes for a perfect daily bauble. Wear it alone for an elegant look or layer it for a bit of drama. This wee vermeil and gold filled hexagon measures only .312" x .312" and is paired with a 13" (adjustable to 14", 15" or 16") chain. Designed and handmade in Honolulu HI, USA by The Pi Collection. Please take care when cleaning gold-filled and gold plated jewelry to protect the layer of gold from being worn away or nicked. Do not use abrasive compounds to clean the jewelry.